Making a Difference with iPads in ISA’s Classrooms! 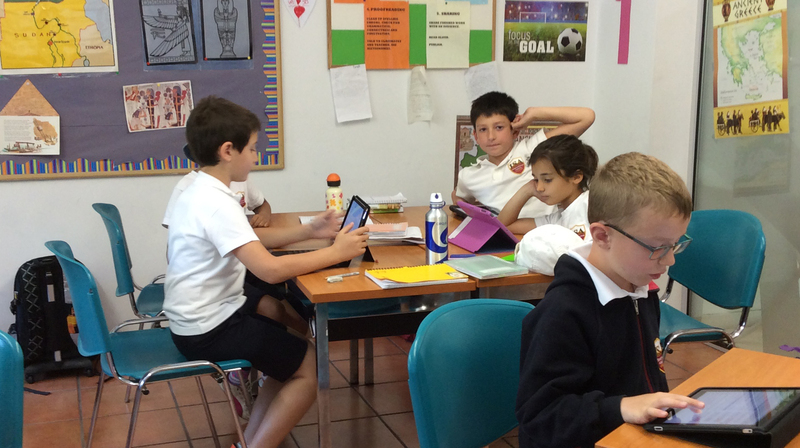 The introduction of the iPad in the classroom has brought education to life! More and more schools are developing programs that enhance student learning experiences and understanding of technology. The use of iPads has revolutionized the way children are taught and the students are provided with endless opportunities to develop skills and creativity in many subject areas. 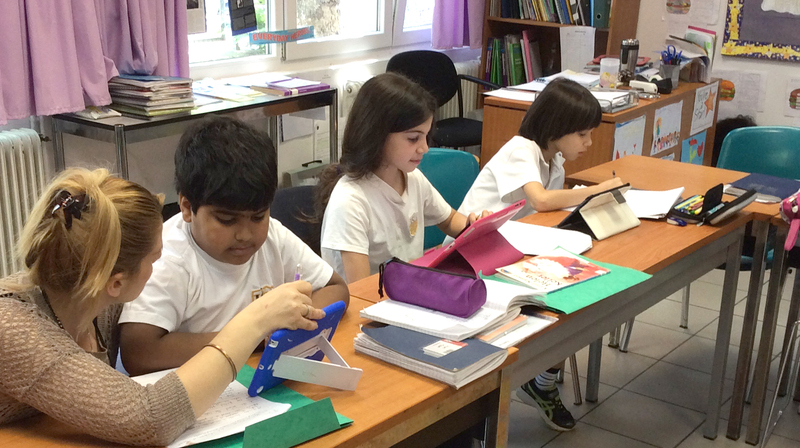 The International School of Athens has successfully launched their first iPad program in the third grade. Each student has brought to school their own iPad that has allowed them to have endless access to valuable information and to enhance their learning experiences within the classroom. Teachers and students have been working together on the interactive whiteboard, sharing and contributing work, information, projects and stories in a variety of ways through the many applications that can be downloaded. Indeed, it has been difficult selecting amongst the many tools that are most suitable to our educational program, but our IT personnel, along with the teaching staff that have been trained by Apple, have worked hard to make choices that will benefit the students most. Having recently acquired the authorization by the International Baccalaureate Organization to offer the Primary Years Programme, the school has made a further transition into the future! The students, who have been learning to inquire, are engaged in deeper, more independent learning and thinking, as well as sharing. Our grade three teachers have reflected on how the students have embraced the iPad with curiosity and responsibility. They noticed how they have become greater risk-takers when using certain programmes such as Khan Academy and Google Maps. Bookboard is an application that has encouraged students to be more adamant readers as, the more they read, the more free books they get, thus increasing reading fluency! Our teachers and students have also enjoyed working together to make class iBooks using Book Creator. Furthermore, easy access to information for classroom projects is enhanced and presentation becomes an even greater and welcoming challenge. ISA’s Primary School recognizes the fact that ICT has developed and is constantly changing. Although the traditional method of book and paper will continue to play a significant role in our students’ lives, mobile devices are opening new doors in education and new ways that teachers will aspire to build their educational program. We intend to continue to develop the program in grade 4 next year and to welcome new iPads into our new grade 3.